4 Bedroom Detached House For Sale in Cheadle for Offers Over £399,000. Tucked away at the head of a small popular residential cul-de-sac a beautifully presented and deceptively spacious four double bedroom detached family home. 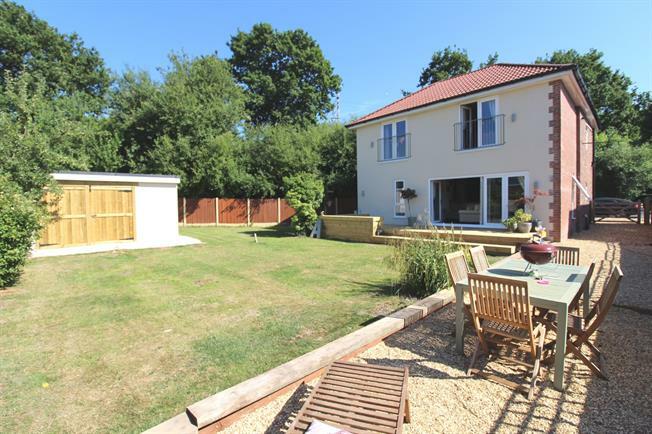 Boasting master bedroom with en-suite and two bedrooms with Juliette balconies overlooking the rear garden the property also offers a large open plan dining kitchen with bi-fold doors onto the rear decking and garden. Ready to move into accommodation, large plot and immediate location make this an extremely desirable property.